Please take a few moments to review the SBNS Membership Agreement. This agreement is to be upheld by all members of SBNS who obtain a membership on this forum. Thank You! Discuss and share information regarding the forum: event dates, special occasions, chat nights, etc. Say "howdy!" and tell everyone about yourself! Share pictures and images with other members in this section. Discuss and share information regarding Sylvia's church, Novus Spiritus. *Please note: This forum has no affiliation or connection to Novus Spiritus. 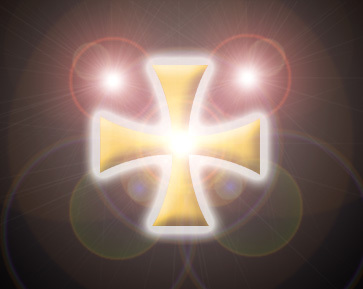 Share and discuss information regarding Gnostic Christianity in this section. This section is dedicated to sharing information between members of Study Groups. Discuss and share information regarding the Gnostic Gospels. Discuss and share information regarding Sylvia's Spiritual Salons. Enjoy Samijo's sermons and Gnostic services weekly, with discussions about Father and Mother God, Life Charts, Life Themes, etc. Discuss and share information regarding other religious and spiritual belief systems. Discuss and share news, information, etc. regarding Sylvia, Novus, etc. Discuss and share information regarding Sylvia's many books. Discuss and share your favorite quotes, thoughts, opinions, and sayings that Sylvia has made. Discuss Sylvia's predictions, prophecies, etc. Discuss Sylvia's predictions from previous years. Discuss and share information regarding Sylvia's television appearances. Discuss and share information regarding our Life Charts. Discuss and share information regarding our Life Themes, and how they affect our lives. Discuss and share information regarding how our Option Lines affect our lives. Discuss and share information regarding past lives, cell memory, and how they affect our current incarnations. Discuss and share information regarding the Levels of Creation. Discuss and share personal validations, stories, visions, and meditations from The Other Side. Discuss and share information, stories, validations, and visits to the Temples and Buildings on the Other Side. Discuss and share information regarding the work of John Edward: his show, his books, his readings, his lectures, etc. Discuss and share information regarding the works of the late, Edgar Cayce (the Sleeping Prophet): his spiritual teachings, his prophecies, his medical diagnosises, his predictions, etc. Discuss and share the teachings, works, and predictions of other psychics and spiritual teachers: such as Eileen Garrett, John Holland, etc. This thread is dedicated to OM - Father God. This thread is dedicated to Mother God. Discuss and share information, validations, and experiences with your Spirit Guide, and others, etc. What's Your Spirit Guides' Names? Do you know your Spirit Guide's name? Would you like to share stories and validations from your Spirit Guide? Use this section to discuss our spiritual friends. Discuss and share stories and information regarding Spiritual Entities, encounters, personal validations and visits, etc. Discuss and share stories and information on ghosts, hauntings, imprints, etc. Share and discuss your personal stories and validations, and even information, regarding Angels and Spirits. Discuss and share your dreams, and offer interpretations. Discuss and share your information on your psychic abilities, validations, etc. Discuss and share information and validations regarding Telepathy and Infused Knowledge that you or a loved one has received. Discuss your own prophecies, predictions, etc. Discuss and share information regarding the tools you use to harness your psychic abilities: Tarot Cards, Crystals, Runes, Tea Leaves, Palmistry, etc. Discuss and share information regarding Numerology. How these numbers affect our lives, what are their significance, etc. Discuss and share information, techniques, and tools regarding Astrology. Discuss and share information, validations, and techniques regarding other psychic methods. Thoughts and universal truths that help you make it through those difficult days. Could you use some words of encouragement? Or, do you feel that your thoughts could inspire and comfort others? Then share your words of encouragement to others who need it. Help inspire others around you, by sending them good thoughts, prayers, and thoughts shared in this section. Share the many blessings in your life. Discuss and share information on books regarding spirituality. Discuss and share information regarding the Bible. Discuss and share information regarding Sylvia's Journey of the Soul series. Discuss and share what's happening today? Discuss and share your favorite movies. Discuss and share your favorite television shows and programs. Discuss and share your favorite music. Need to vent some steam? Use this thread to help! *Note: Please maintain the SBNS Membership Agreement when posting in this section. Is there anything you want added to the forum?